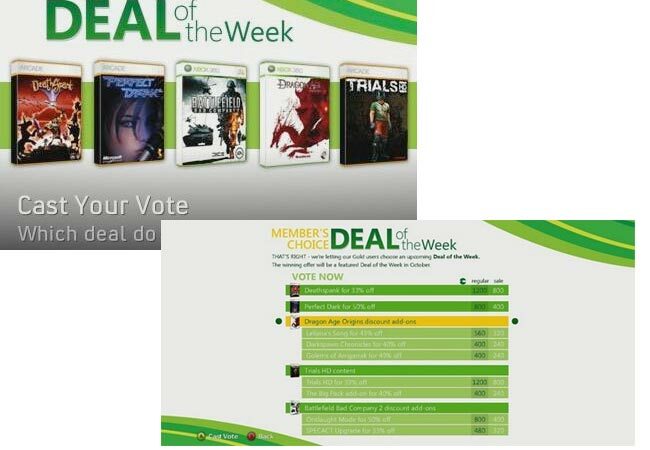 Gold Xbox lLive members are being given the opportunity to vote on the Deal of the week for the 18th October. Voting can be done by going to the ‘Spotlight’ section on the Xbox 360 dashboard. Once there then select the ‘Cast Your Vote’ option. Every Xbox LIVE Gold Members in either the n the US, UK and Canada, can cast one vote on their selection of the Deal of The Week.